Why? We're not really sure. 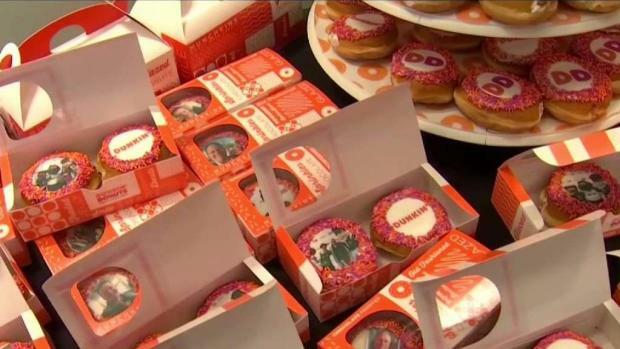 But Dunkin' Donuts announced Monday that it is unveiling a series of space-themed drinks and donuts. The Cosmic Coolatta frozen beverages combine two flavors, "specially layered to create a brightly-colored out-of-this-world look." There's a Cosmic Cotton Candy Coolatta that combines cotton candy and blue raspberry flavors, and a Cosmic Pineapple Coolatta which combines pineapple and blue raspberry. 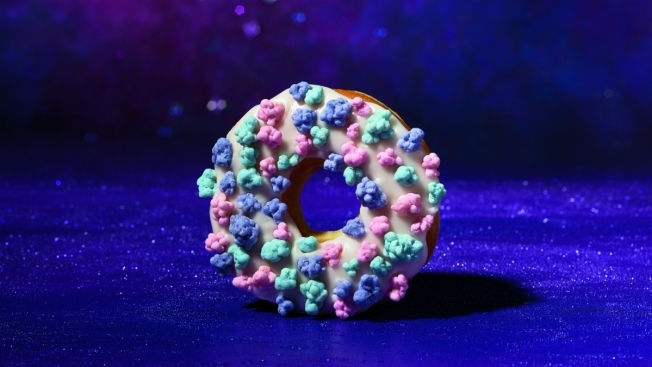 There's also a new Comet Candy Donut, which is even more colorful than the cosmic drinks. It's decorated with white icing and pink, blue and purple cotton candy flavored popping candy sprinkled on top. All three items are available at participating stores for a limited time starting Monday. Dunkin' also announced Monday that it is bringing back its Smoked Sausage Breakfast Sandwich for a limited time, featuring egg, cheese and split sausage on an English muffin. And in metro New York only, Dunkin' is offering a new choice for espresso lovers with its new Honey Vanilla Flavored Lattes through May 27. But you won't find them in Boston.